SBS drama “Switch” is on a smooth ride as its viewership ratings and Content Power Index (CPI) rankings are turning out great. Not only is the drama keeping its No. 1 spot in its time slot for two weeks in a row in terms of viewership, it has also ranked second in CPI rankings. 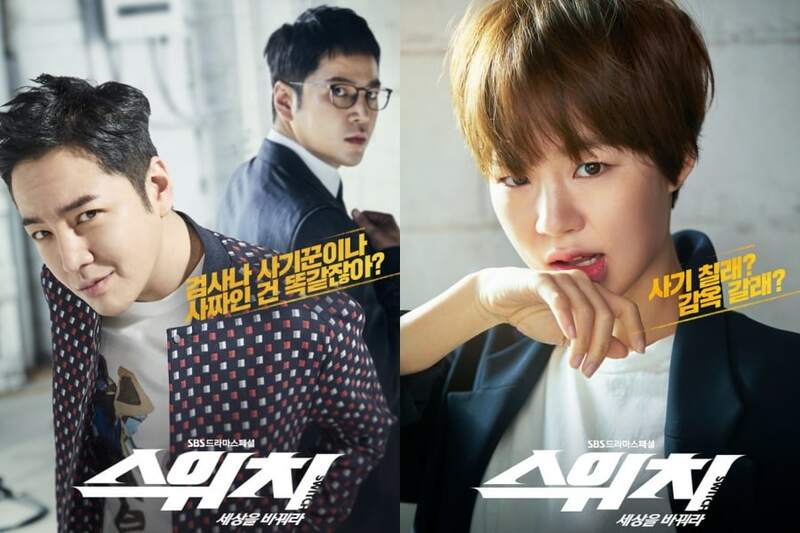 “Switch” tells the story of a genius swindler Sa Do Chan (Jang Geun Suk) working together with prosecutor Baek Joon Soo (also played by Jang Geun Suk) and Oh Ha Ra (Han Ye Ri) in solving crimes. Here are some reasons why “Switch” is becoming so popular! “Switch” grabbed viewers’ attention from its first episode with scenes full of action. The premiere especially featured a spectacular scene where the car Baek Joon Soo was driving crashed into a truck and fell off a cliff. The following episodes of the drama were just as impressive in visuals. Scenes such as Sa Do Chan blocking the president’s motorcade with an ambulance were amazing and memorable. The intense plot full of twists and turns is yet another charm of “Switch.” Centered around an investigation into illegal drugs, the storyline of “Switch” is rich in imagination and originality, and it is almost impossible to predict what will come next. 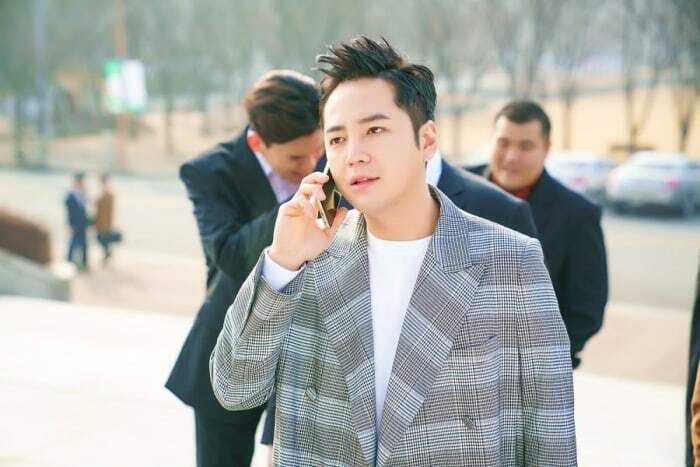 Jang Geun Suk, who plays the contrasting characters of Sa Do Chan and Baek Joon Soo, has been praised for his great acting. While Sa Do Chan and Baek Joon Soo look alike on the outside, they are completely different in facial expressions, personalities, and ways of speaking. Sa Do Chan especially has proven to be a conman who’s on another level from similar characters viewers have seen so far. Born with a smooth tongue and bursting with personality, Sa Do Chan is rapidly growing popular with his unique charms. From her first appearance, Oh Ha Ra (Han Ye Ri) easily subdued a man who was trying to attack her before boldly leaping over a tall entrance on her way to work. Oh Ha Ra’s inner strength, as well as her passion for investigating and finding out the truth, has her winning over viewers as the drama progresses. Moreover, Keum Tae Woong (Jung Woong In), a sophisticated villain who enjoys reading and quietly thinking, makes it hard not to concentrate on the plot. He always bows low before Choi Jung Pil (Lee Jung Gil), but he is an ambitious man who would not hesitate to kill someone to achieve what he wants. 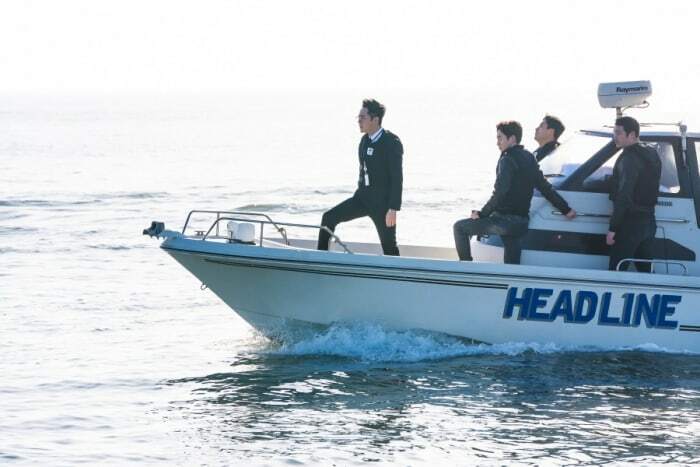 The production staff of “Switch” shared, “It seems that the drama is receiving a great reaction, maintaining its No.1 spot in its time slot with viewership ratings in two weeks in a row, as the script, directing, and acting work in harmony and viewers feel the efforts we’ve put in.” They asked viewers to look forward to the upcoming episodes which will be even more interesting and intense. “Switch” airs every Wednesday and Thursday night at 10 p.m. KST.